Claw Extractor - An essential design element of the Mauser 98 bolt action and its derivatives: the Springfield '03 and the Winchester pre-'64 Model 70. A large, long extractor claw (fire-blued in the above photos) is mounted to and revolves around the bolt shaft, or more properly, remains stationary in the receiver raceway when the bolt revolves. 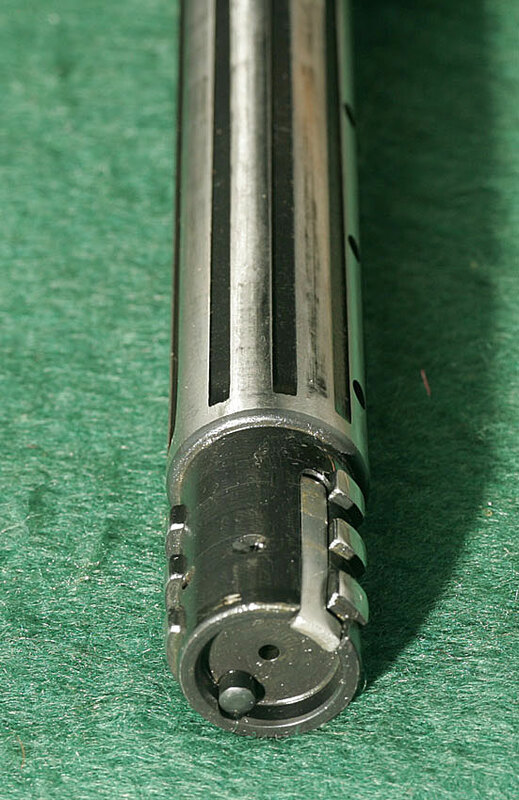 This claw takes positive hold of the cartridge coming from the magazine and places it in the chamber when the bolt is closed. 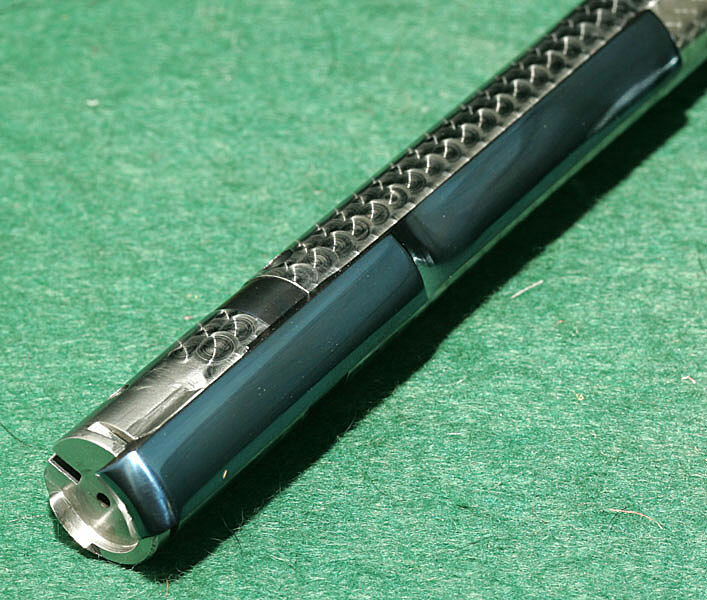 Then, when the bolt is opened, the claw, never having relinquished its grip on the rim of the cartridge, withdraws it from the chamber with absolute reliability. 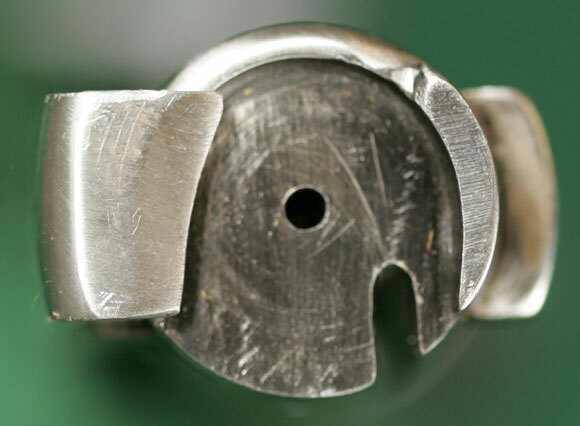 Bolt face from a Mauser 98 action. The bolt rotates while the claw extrtactor (at arrow on left side) remains stationary in the receiver raceway. 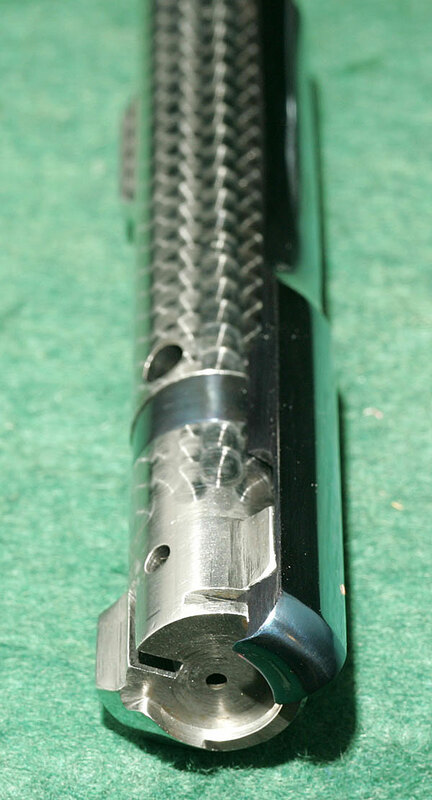 Lesser bolt actions have a small clip built into the bolt face which snaps over the chambered cartridge rim when the bolt is closed. 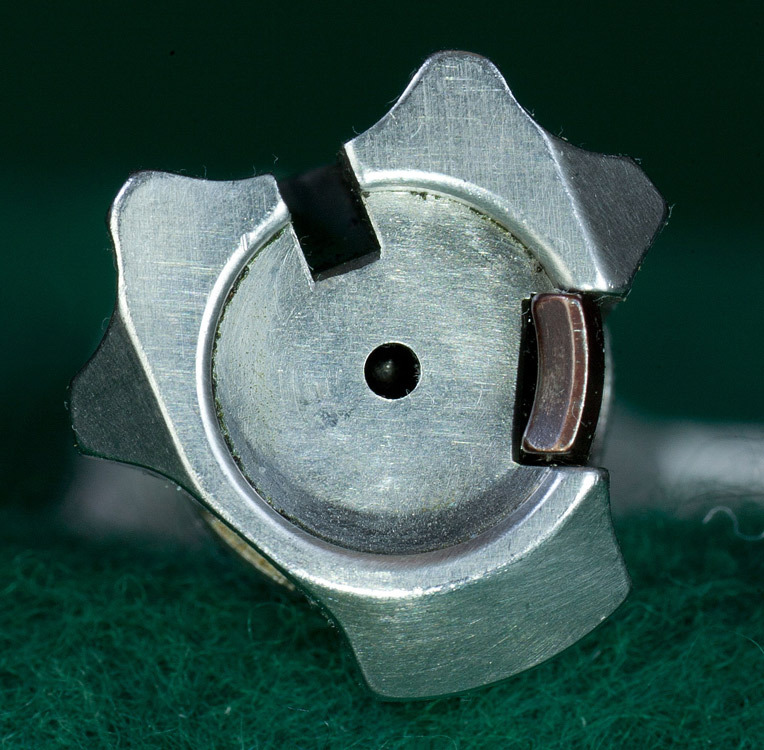 While cheaper to manufacture, this system allows the possibility of the clip slipping back off the rim of the expanded spent case during extraction. Although some would argue that this design more fully supports the cartridge base and therefore contributes to better accuracy, most experienced hunters prefer an action with a Mauser-type claw extractor for its reliability, especially when facing dangerous game.